Complex Says: If you're gonna eat beef jerky, why not go for the good stuff? They're available in original, flamin' hot, teriyaki and bar-b-que flavors, as well as low-sodium versions for the health-conscious. 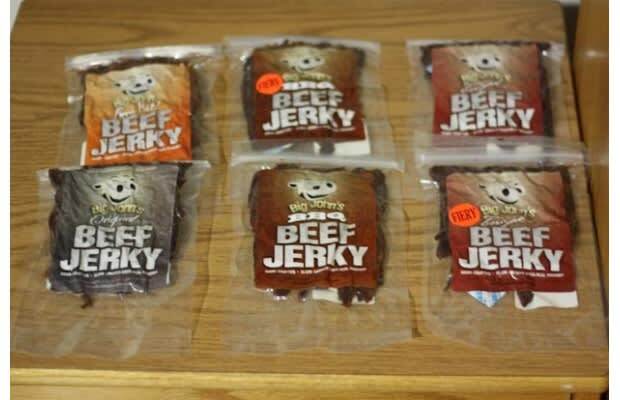 These don't leave much residue on your fingers, unless you let the jerky get warm and squishy sitting on a sunny dashboard. Grab a pack of moist towellettes and keep them in the car for when you get sticky fingers, and you can munch your jerky with no worries.